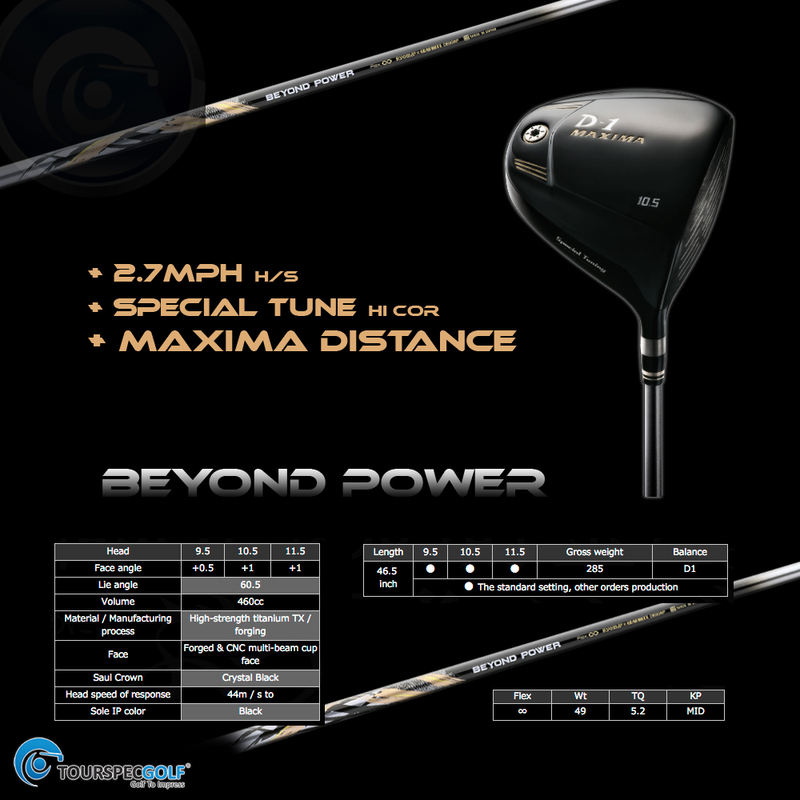 Ryoma Beyond Power Driver – This year many of our members were asking what will Ryoma release new for 2015 and while it’s not entirely new Ryoma has enhanced it’s Ryoma Maxima Driver naming it the Ryoma “Beyond Power” Special Tune Driver. Made with high strength titanium TX Forged with a Forged CNC Multi-beam cup face the “Non Conforming” Special Tune is combined with a new shaft that Ryoma claims will increase head speed by 2.7mph on average and depending on the player sometimes even more. What’s interesting is this shaft is infinity flex which works for any golfer between 67mph to 111mph!! This isn’t uncommon now days as Fujikura has an infiniti flex “Fujikura Speeder Air” shaft that works for both fast and slower swing speeds but this new Ryoma Beyond Power Driver Shaft is designed for both types of swingers not to balloon and to still meet the ball square at impact with no delay. The design and materials of the shaft allow the bending to start at the tip section and as you swing toward impact step by step it kicks in different areas ending with kick in the hand area at impact which allows the club head to accelerate through the ball in an automatic behavior. Usually the final kick is in the tip section. So we know everything Ryoma makes is well thought out and they don’t rust to adding new products of the line up, but will this really work? Let us know your thoughts! The Ryoma Beyond Power will be available at TSG for Pre Order shortly with a mid April ship date.